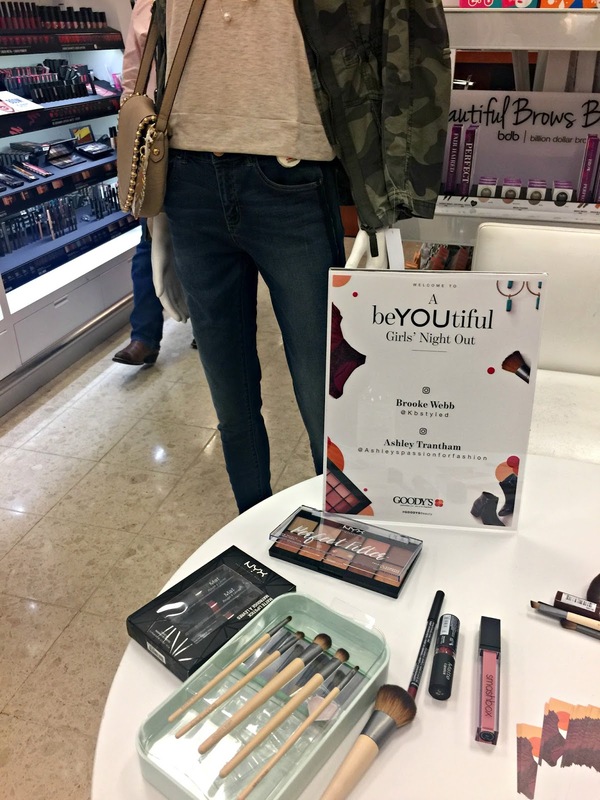 Goody's beYOUtiful Girls' Night Out Store Event Recap! 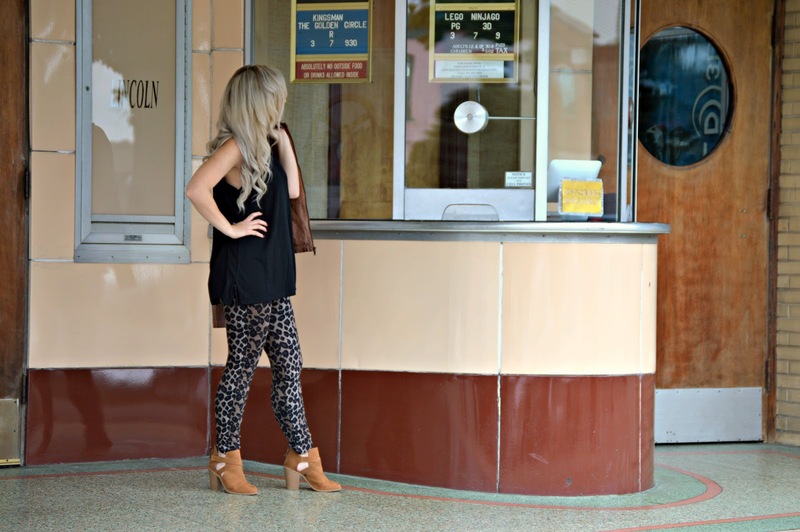 Booties: c/o Goody's, Rampage (here, for $40, runs TTS). 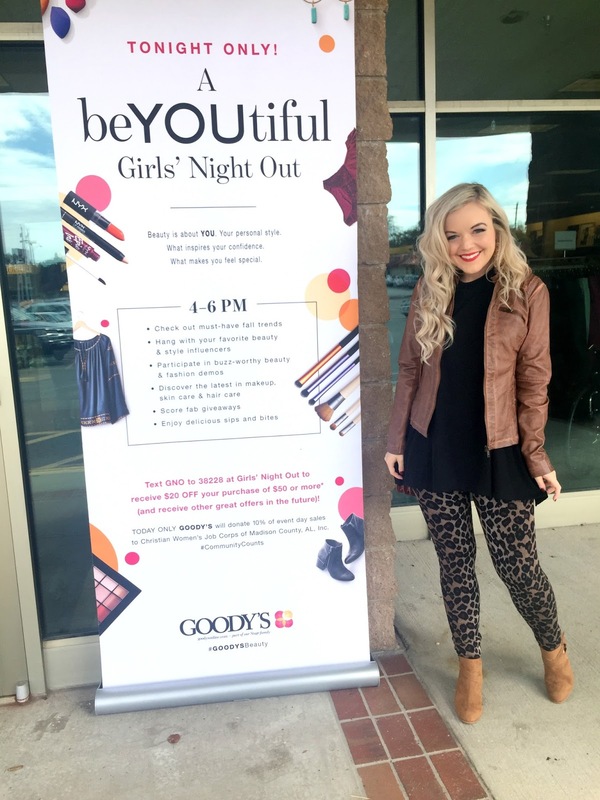 If you follow along with me on Instagram (here) or Facebook (here), you may know that I was invited to host a "beYOUtiful Girls' Night Out" event to help celebrate the launch of the new Beauty Bar at Goody's, a part of the Stage family stores, in Fayetteville, TN this past Saturday, September 30th. 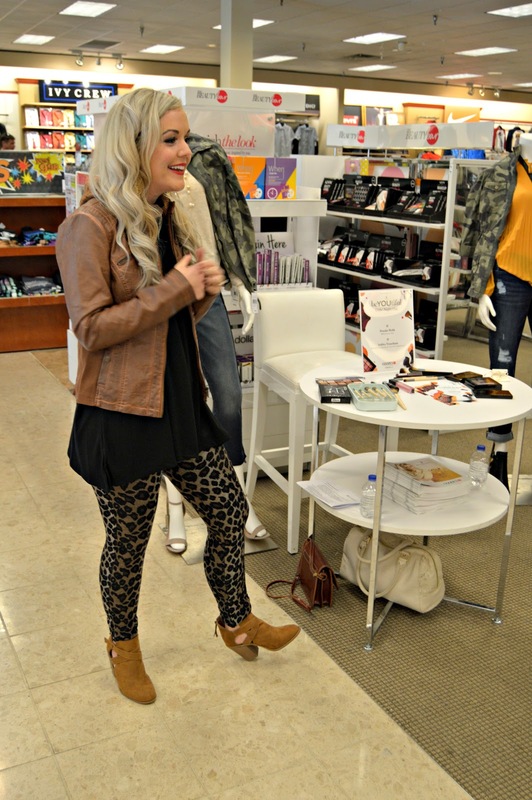 At the event, I shared a fashion and beauty demo for fall (you can check out my videos on my blog's FB page)! 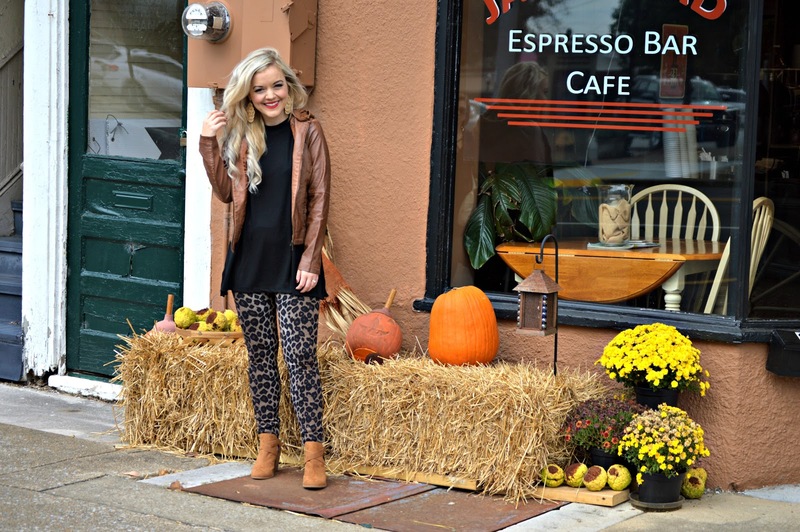 I hosted the event along with Nashville blogger Brooke Webb of KBStyled (you can read her blog here) and we had a blast together. Best part of all, 10% of sales for the evening went to Christian Women's Job Corps of Madison, County, AL, Inc (check out their Facebook page here). I loved learning more about this wonderful organization! 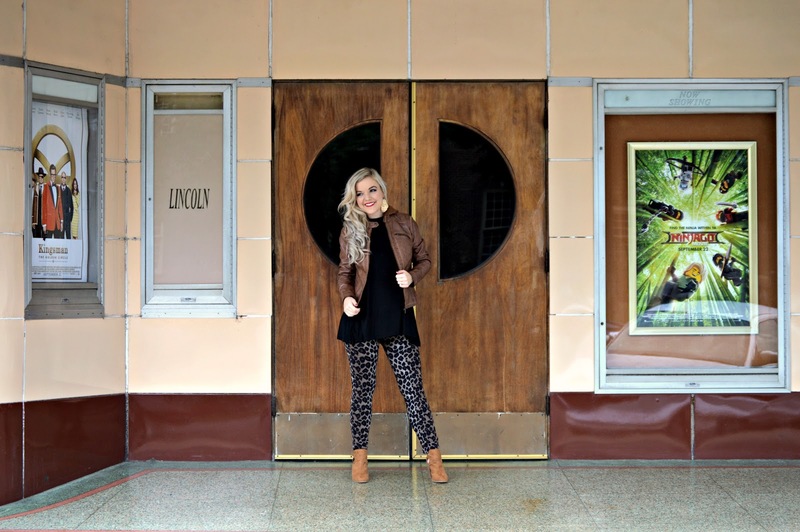 As you know, one of the things I try to do here on my blog is show my readers that you don't have to spend a fortune to look cute, stylish and on trend. 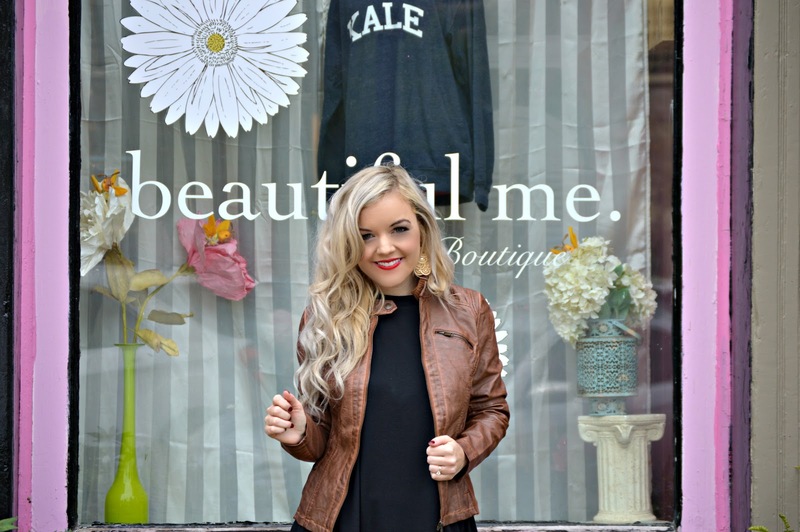 When I went shopping the week before my event at my nearest Goody's store, I was so impressed with how many CUTE trendy pieces they had that were affordable! 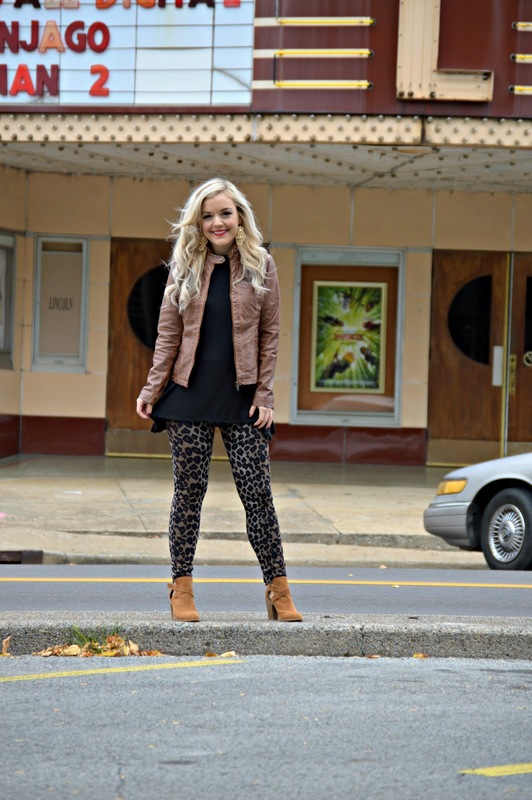 The outfit I picked out to wear for the in-store event included some of my favorite trends for fall: leopard print (I have seen leopard print everywhere for fall...even in pants/leggings), moto jackets (the one I've linked and wearing above is SERIOUSLY so cute, I love the hood detail, and it's currently on sale for $50. It's excellent quality! 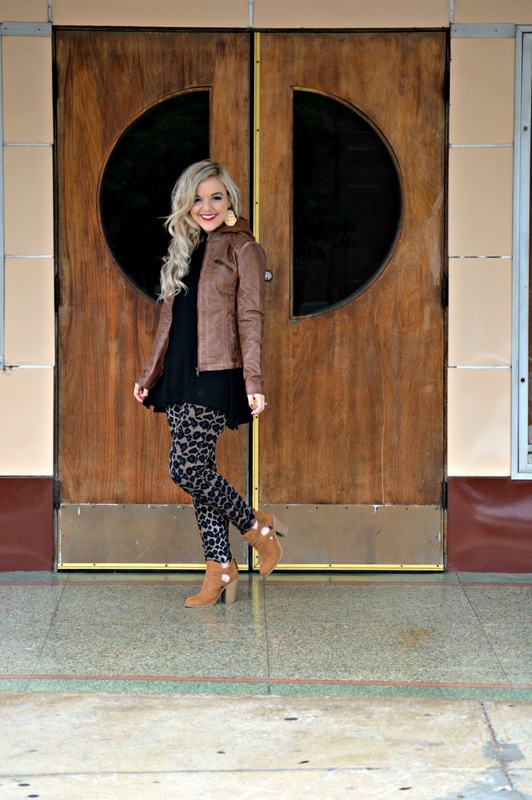 ), and booties (these are by Rampage for only $40. You cannot beat the price!). The sleeveless top I'm wearing underneath my jacket is SO comfortable and perfect for leggings because it covers your hips. I have already worn this top 2-3 times since the event! I think I may need more colors at only $18 each! 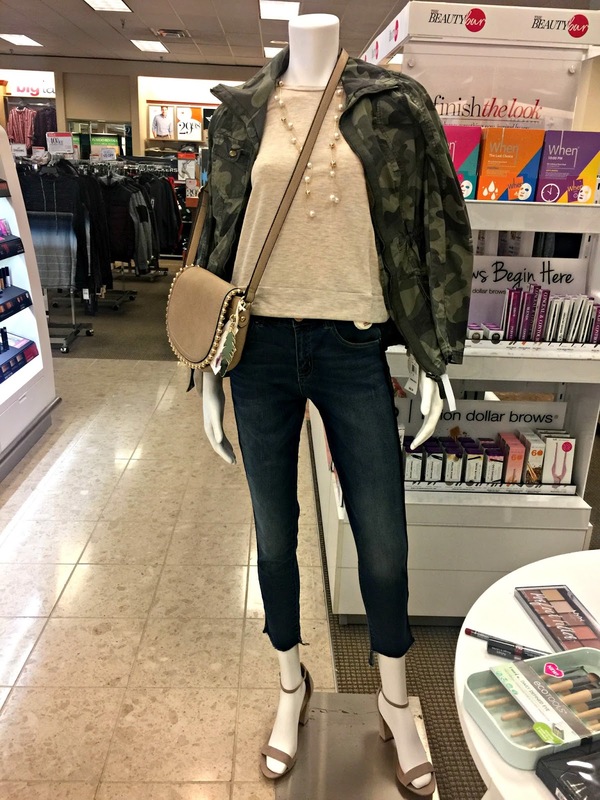 As you can see in the pictures above, I styled my mannequin in a camo jacket (shop it here), which is a huge trend for fall! 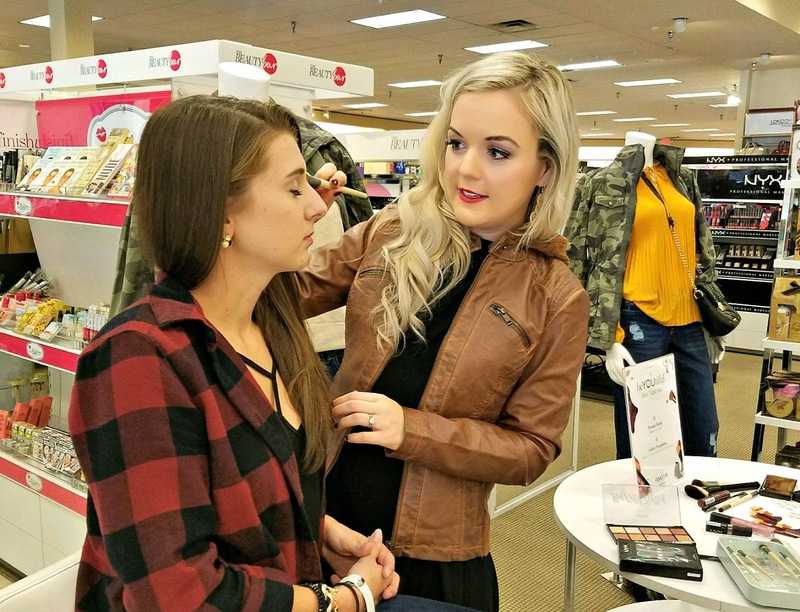 One thing about camo is that you can really make it feminine, as I tried to do in the way I styled my mannequin at the event with pearls and heels (shop the heels here). 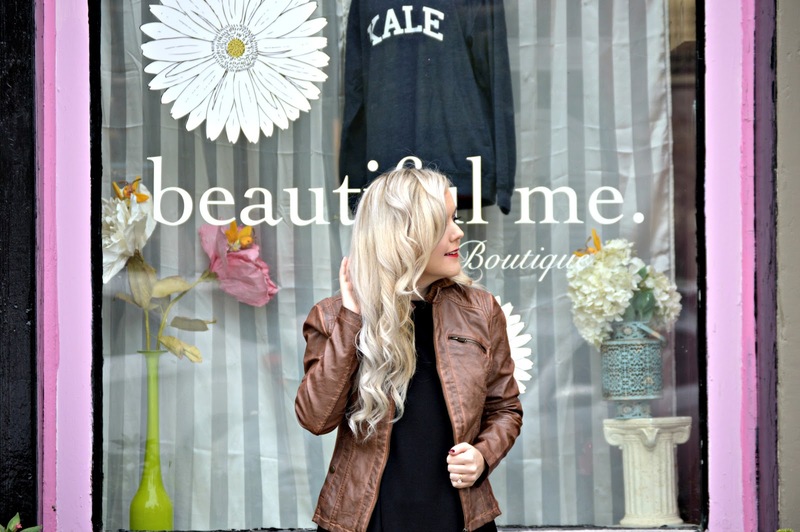 Also, I layered a beige sweatshirt (shop it here) underneath the jacket that has girly ruffles and bows on the sleeves. 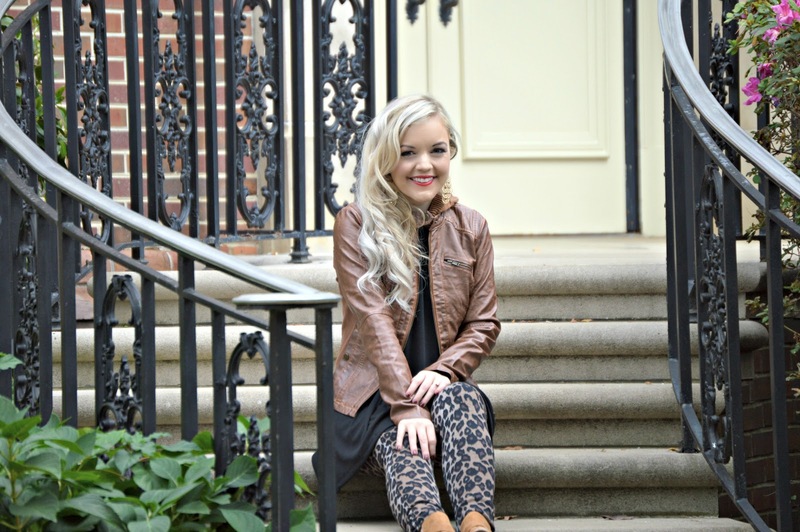 Y'all know I'm a pretty girly girl so I love to make trends that have a tougher vibe softer with feminine touches. 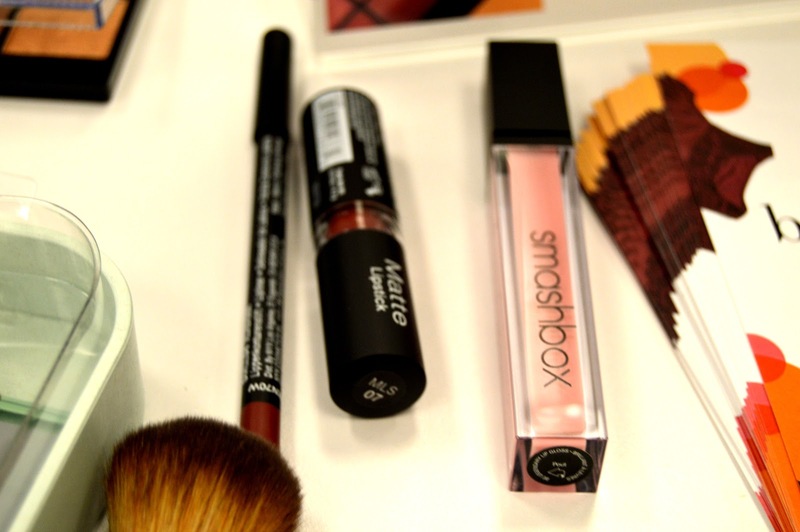 For my beauty trend for the event, I wanted to show how a bold lip is a must for fall. The new Beauty Bar at Goody's now carries one of my favorite brands for inexpensive but amazingly pigmented lipsticks, NYX. I used the shade "Alabama" in the matte lipstick (shop it here) on my GORGEOUS model (who happens to be my wonderful cousin/best friend Jil; cannot thank you enough for always being there for me girl!). We also used a NYX palette "Perfect Filter" in "Golden Hour" (shop it here) for her eyes and applied the shades with a Eco Tools brush set (here). 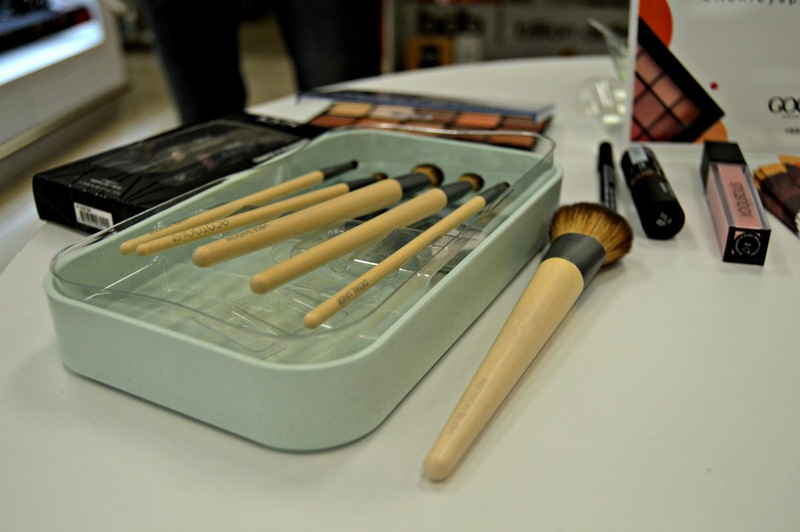 A great way to save $$ is to pick an eyeshadow palette that could double as a blush/bronzer. The warm shades in this palette work perfect for both eyes & cheeks! Before my event, we had time to explore the downtown shops in Fayetteville and enjoy a lunch at a cute, old school diner called "Honey's." There is something so charming about a little Southern town; one of those places where everyone is SO friendly! 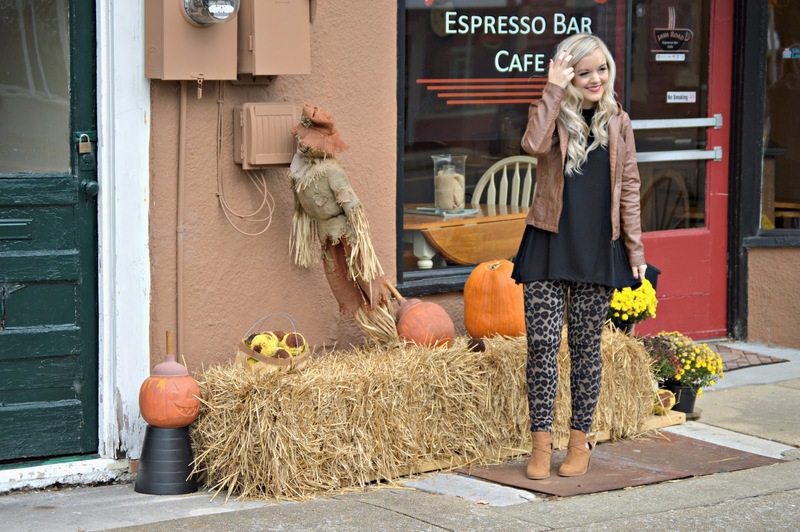 We enjoyed browsing the cute antique stores and of course my hubby/photographer snapped a few pictures for the blog. I just have to say, I am SO blessed with the best family in the world and always having their support with this blog (or whatever dreams I pursue!). I hope y'all have a fabulous week! Thank you as always from the bottom of my heart for reading and following along! 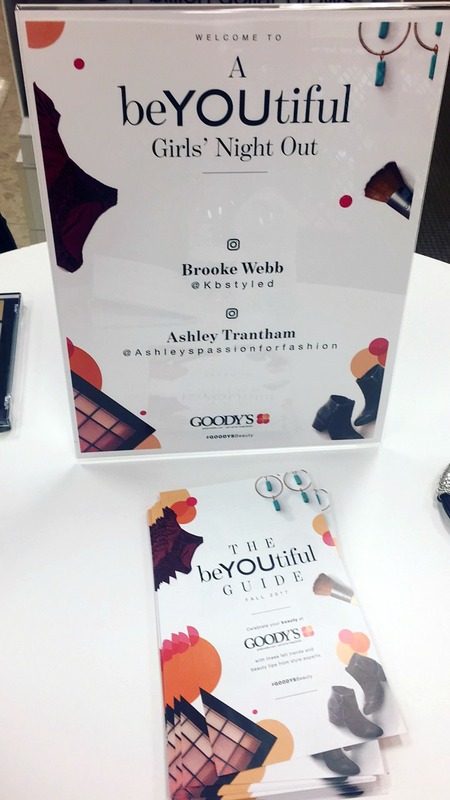 Thank you to Goody's, a part of the Stage Stores family, for sponsoring today's post and collaborating for this event.